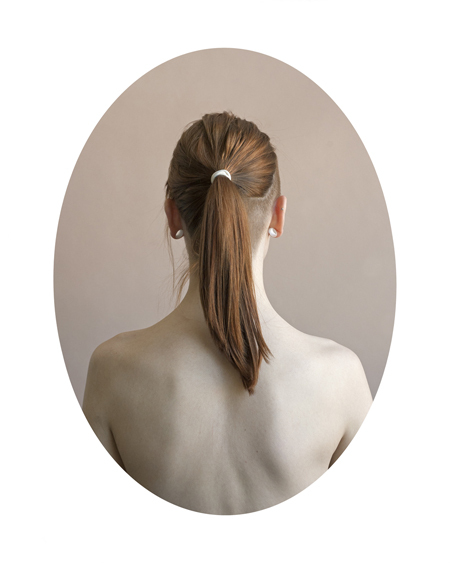 I was first drawn to Tara Bogart’s “A Modern Hair Study” because of its simple beauty and power. We met at the project’s NYC opening at Hous Projects where I had the opportunity to talk with her about both her work and photography as a form of art. She agreed to answer some questions and to be my first blog post…..so here goes. I hope you enjoy! Abigail Smithson: Which photographers have inspired you? Tara Bogart: Well, I would have to say first…my mom. When I was pretty young she built a darkroom in our house and I was the subject of a lot of her images. We always had photo books on the coffee table and my first memories are of Duane Michals, Robert Frank, Cindy Sherman and Deborah Turberville. AS: How did you first become interested in photography and was there a moment when you decided to pursue it seriously? TB: I think I knew early on, like teenage years, that I wanted to be an artist and I was in love with working in the darkroom, but it took me awhile to come to terms with the fact that I was an artist. My parents are artists and for some reason I thought I needed to do something “practical” and strayed for awhile. I found that I was very unhappy when I wasn’t making or thinking about making photographs. AS: Has traveling affected your photography? If so, how? TB: It absolutely has! I think it affects everything though. I love traveling, but I never really know how deeply it has impacted me until I have had time to reflect on it. Paris had a huge impact on “A Modern Hair Study”. I would have never thought of this current project if I had not seen the Felix Nadar photograph because I did not know this photograph existed. Traveling opens our minds to cultures and ideas that are not like our own. Knowing that there are different ways to do or think about things can change your perspective. How can that not have an affect on us? AS: “A Modern Hair Study” exudes a sense of feminine intimacy. As a woman photographing women, do you feel that gender impacts the photographer’s relationship to their subject? TB: Sure it can, but I don’t really want to have that conversation. I think personality affects that relationship between subject and photographer. I also was very concerned with being respectful to my subjects. I made sure I explained what I was doing and the importance and significance of their backs as well as the hair. I think the women felt comfortable because I was very clear about my intentions. AS: The women in your photos clearly have a strong sense of individuality. And the differences between them are clear to see: from posture to hair color, there is a wide range of personal style. How much direction did you give to your models and how much input, if any, did the models have in the making of their photograph? TB: I did not alter their appearance at all. I usually tried to get them to let me photograph them the day I asked because then there was less interference or “prepping”. I couldn’t always do that so the models sometimes had time to think about how they might wear their hair on the day of the shoot. I always asked them not to do anything that they wouldn’t normally do and to be as natural as possible. When I first started the project, I was unclear about how I would approach my subjects and tried to make appointments for people to come to. I quickly figured out that this would not work because one of my subjects changed her hair color the night before the shoot. I didn’t have the heart to tell her that I really liked the color it was before because she seemed very excited that she was able to “fix it” for me in time. I realized at that moment that I would have to be more spontanious in my approach. 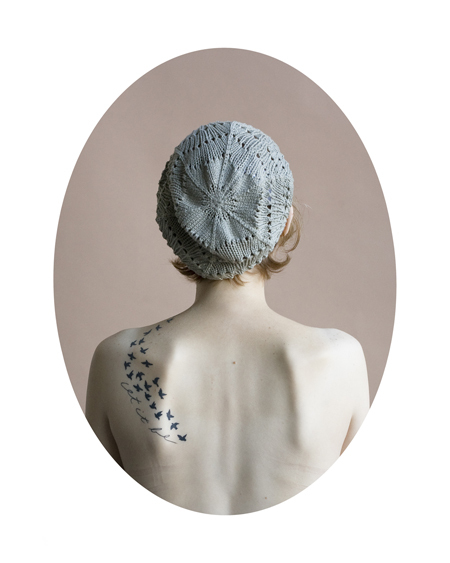 AS: You reference “Hair Study” by Felix Nadar as a direct inspiration for this body of work. Knowing this, when viewing your hair studies, I can see the relation. You have successfully, and also beautifully, made it your own. Did you find it a challenge, even with 150 years between the two works, to give this your own voice while giving a nod in Nadar’s direction? TB: Thank you! Luckily the generation speaks for itself. I did not know how successfully it would reference the Nadar image until I got the project rolling. The Nadar photograph was on my mind for months before I started photographing my own. AS: Do you find inspiration working within a historical context? TB: It can be tricky because I didn’t want to make an exact replica but I definitely wanted to reference it. I kept thinking “what would this image look like today”…and that is when I knew I was potentially on to something. AS: You chose to have your models pose without any clothing (that the viewer can see). My eye is drawn not only to the hair but also the bone definition in their backs, the freckles and tattoos. What were your thoughts behind this decision? TB: Yes, I did not want the clothing to indicate any kind of trend or fad. I wanted it to be more about the differences and similarities between the women. It became very surprising to me how different everyone really was. The oval, for me, serves two purposes…first, to create the reference to the Nadar photograph in a somewhat modern way and also to allow the models to be unclothed but not show their full figures. Showing the full figure would, I feel, start a different dialog that I did not want to tackle in this project. One of the things I love about the Nadar photograph was that he called it a “hair study” but clearly there was so much more going on in the image than just the hair. Hopefully, at first glance the viewer would say “wow, look at all of the different hair styles” and then look a little bit longer and see all the other things that I found so interesting when photographing them. AS: What function do you feel fine art photography has today and is it important to look to the past for new inspiration? TB: Because my parents are artists, I have always had a strong appreciation of the arts. My mom took me to lectures and exhibitions all throughout my childhood and that habit is still stuck with me. I studied dance, theater and music until I was in my 20s and still appreciate a great concert or dance performance. Most times after seeing a really good movie or play I have a lot more creative energy. Traveling to Paris made me realize how much paintings have influenced the way I see the world. Experiencing paintings that I have studied in books for all these years was stunning and I had a light bulb moment! “Ahhh no wonder I love Vermeer so much!” Vermeer used light in the same way that photographers use light, by drawing the viewer in to what is important. It is important to know the past as well as contemporary art and I have always felt that if you are well rounded you can make more informed decisions about your own art work. I am hesitant to answer the “function” part of your question. Yes, photography has the potential to do many things. It can open our eyes to new things, make us think and question, make us angry and make us laugh, but so do many other art forms. I think photography is unique in the way that is is so immediate. You can capture a moment, in the moment. You can then choose to send it out into the world…or work on it and change it to be what you want it to be. This is both exciting and scary. AS: In your bodies of work “Twilight”, “Fables” and “Dreams” you seem to be creating a collage between real and surreal, pulling from multiple photographs. “A Modern Hair Study” is a more straightforward documentation. Which direction do you find yourself pulled in most often? Creating your own scene to document or documenting an existing one? TB: Honestly, I was getting really tired of spending so much time in front of the computer. I would rather be photographing. That is only half of the story,really. I find that I am motivated by an idea and sometimes the idea involves compositing and sometimes it does not. “Twilight” and “Fables” came about because of some recurrent dreams I was having. It was what I was really thinking about at the time. Probably, like many others, I have lots of ideas but not all of them make it out of my head….or they may lay dormant until something triggers them again. I find myself most pulled to people and that is probably the most consistant thread in my work. I really thrive on the what the subject brings to the table because people are so unpredictable when it comes to having their photograph taken. I like that element of chance inside of guidelines that I have created. AS: As a follow up question to the last, how has your work evolved throughout your career? TB: I will say that having made a decision to really commit my time to making art has helped me to consistently push forward. I bounced around for awhile, not really sure what I wanted to do. I was not making as much work as I wanted and living a lot in my head. Not really doing. I also know that working at The Milwaukee Institute of Art & Design has made my artwork stronger. There is a really strong group of photographer friends in Milwaukee that I spend time with. We push each other a lot, meet often to talk about our ideas, and it is always inspiring to hear what others are doing and creating. 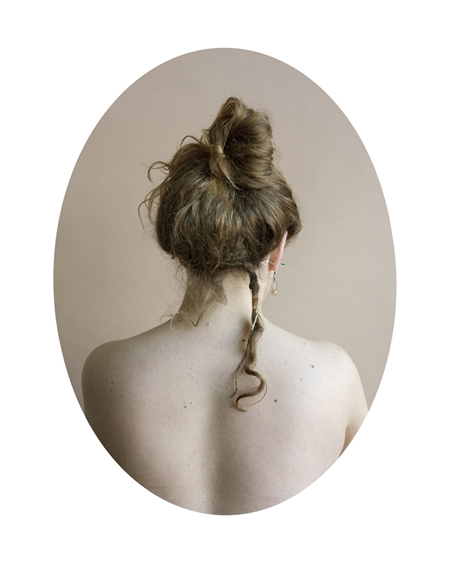 “A Modern Hair Study” is on display until August 31st at Hous Projects in New York City. See more of Tara’s work here. See Felix Nadar’s “Hair Study” (the inspiration for Tara’s current work) here.